The International Culinary Center in New York City is one of the most highly respected culinary schools in the world. This is rather remarkable if only because the program is so short in duration, 6 months for the day program, 9 months if you take it by night. But the high post-graduation job placement attests to the respect this school has attained within the industry. The focus is on traditional French cuisine and cooking methods. International Culinary Center in New York City is one of the most highly respected culinary schools in the world. The school's intensive program is short in duration, 6 months for the day program, 9 months if you take it by night, but the high post-graduation job placement rate attests to the school’s industry wide credibility. The focus is on traditional French cuisine and cooking methods. Dorothy Cann Hamilton, the CEO and founder of the French Culinary Institute (FCI), was born and bred in Brooklyn, NY and would seem an unlikely candidate to have founded one of the premiere professional French cooking schools in the world. Her father ran a trade school in Brooklyn and she had a very typical Brooklyn upbringing. But in high school Hamilton dreamed of visiting Europe. She figured the only way to get her parents to pay for the trip was to go to college there, so she got herself admitted to a British University. She said in an interview that the two worst things were the weather and the food, and that the British girls didn’t much care for Americans. So Hamilton spent her time with the French girls, who introduced her to cheese that wasn’t orange and soft, and taught her how to make a Dijon vinaigrette. Hamilton, who couldn’t afford to fly home for vacations, ended up spending her vacation time in France with her friends, particularly in Burgundy. This was her introduction to French cuisine - an immersion that was to shape her life. Hamilton did a stint in the Peace Corps in Thailand, then returned to the States during the early 1970’s recession and ended up working at her father’s school, first as a receptionist and eventually as an expert in student financial aid. Though this was a job she hadn’t planned on and ended up in only because of the tough economic times and the need to pay off her own student loans. She found that she enjoyed working with the students and helping to run the school. She earned a seat on the National Association of Student Financial Aid Administrators and also sat on the board of directors for the accrediting agency for all trade schools in the US. This got her invitations to visit top trade schools in Europe, which eventually led to a tour of a top professional cooking school run by the French government. As she toured a French culinary school, Hamilton had her light bulb moment. Upon returning home, Hamilton convinced her father that they should open a French cooking school in New York City, using the French culinary school she had toured as a model. She paid the French government for the use of their curriculum, she imported some of the French teachers as guest instructors, and she kept a strict handle on quality control. 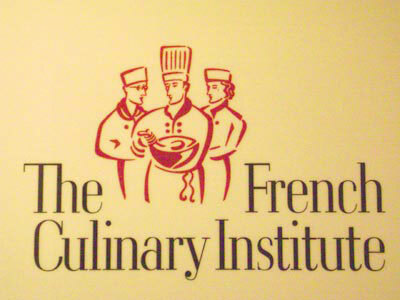 The French Culinary Institute was thus born, in 1984. 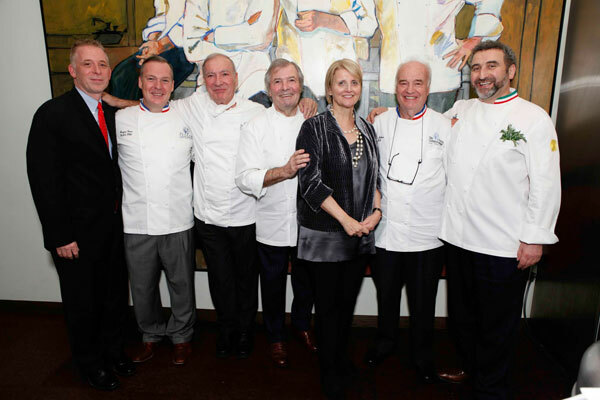 The French chefs in New York City lauded the school and fawned over it. Those who visited, or were invited to guest lecture, each attested to the fact that this was the exact same training they had received in France. In 2007 the school launched an Italian cuisine program & in 2011 the school was renamed to limit the types of foods studied at the school. The buzz about the school from within the professional community made it a near overnight success. Expansion of the curriculum, including the establishment of The International Culinary Center, combined with a 2006 move to more spacious quarters, have allowed the school to keep pace with student demand. Not only is Hamilton the CEO of the FCI, she’s also Chairwoman of The James Beard Foundation and was appointed Chairwoman emerita for life. Hamilton was also host of the acclaimed PBS series entitled Chef’s Story, a series of interviews with 27 top chefs. The many awards she’s been given attest to her prowess and respect within the culinary arts field. She’s been awarded Chevalier du Merit Agricole (Agricultural Merit Knighthood) from the French government, the Outstanding American Educator award from Madrid Fusion, the Silver Spoon Award from Food Arts magazine, and the prestigious Ordre National du Mérite (National Order of Merit Award) from the French government, to name just a few. When she founded the school, Hamilton decided to follow the fast track total immersion method of culinary education used by the French schools, stressing hands on experience, and following it up with professional experience in restaurant settings. Though the school’s focus has always been on traditional French cuisine, the educational approach is to learn French cooking technique in such a way that it is easily applied to the creation of other regional cuisine. While enrolled in the program, students spend 75% of their time in kitchen workshops, and the student-teacher ratio is 12:1. Students are taught the 250 basic building blocks of Western cuisine. Unlike some of the other top culinary schools, FCI classes are small enough to facilitate each student’s personal access to faculty. Many students at FCI are career changers who have left their occupations, in favor of pursuing culinary passions. The maturity level and commitment of the student body, the professionalism of the faculty, the intensity of the program and the school’s location, within the heart of one of the most gastronomically diverse cities in the world combine to create the school’s high energy level. Coinciding with the founding of the school, in 1984, came the opening of L’ecole Restaurant. L’ecole is where students work to sharpen their skills in a true to life production setting. Students work at every station in the kitchen a hands on strategy that ensures they are industry-ready upon graduation. The restaurant has consistently received high ratings from both Zagat and Michelin, and has excellent diner reviews on Yelp.com. The exacting New York restaurant crowd and sophisticated reviewers hold the student restaurant to the same standards set by other fine dining establishments in Manhattan, so the students successes stand as significant accomplishments. With the fast growth of FCI came awareness that quality instruction for hobbyists and young people were lacking within the culinary arts community. When the school expanded its quarters in 2006, it addressed the need by opening a recreational division, offering evening workshops for amateur cooks and for working professionals seeking to expand their skill set. These workshops are taught by some of the best in the industry. The Italian Culinary Academy was also founded at that time, offering programs of learning like the Italian Culinary Experience. Learning starts at the New York school before proceeding to Parma, Italy, for studies at ALMA, the International School of Italian Cuisine. The course culminates in a nine-week work-study in one of the top restaurants in Italy. The course stresses immersion in culture, language, and Italian gastronomic traditions, tying them all together into a comprehensive learning experience. The curriculum was designed by Chef Cesare Casella, the Dean of Italian Studies, former chef of Maremma and Beppe in Manhattan. FCI has consistently invested in its facilities, so that students are working in the most up-to-date kitchen workshops, featuring Jade ranges and Winkler Wachtel deck ovens. There’s also a state-of-the-art Culinary Theater, where students can observe prominent guest chefs demonstrating techniques, new ideas and presentation tricks. This amphitheater has been used as the setting for culinary contests, a PBS cooking series, and was at one time home of the New York Times online cooking class. Alain Sailhac, Executive VP, Dean Emeritus. Sailhac garnered four stars at two different Manhattan restaurants of note, Le Cygne and Le Cirque. Saihac supervises the faculty, students and the day-to-day operations, and also offers career counseling to students. Master Chef Jacques Pépin, Dean of Special Programs. Former personal chef to three French heads of state, award-winning PBS TV host, and best-selling cookbook author. He provides cooking demonstrations and often consults with students. Master Chef Jacques Torres Dean of Pastry Arts. Former executive pastry chef of Le Cirque and James Beard Foundation award winner. Responsible for developing the classic pastry arts curriculum. Master Chef André Soltner, Dean of Classic Studies. Chef and Founding Owner of the legendary NY four star restaurant Lutéce. Divides his time between cooking demonstrations and career advising. Chef Nils Norén, VP of Culinary and Pastry Arts. Former Executive Chef at Aquavit in NYC. Alan Richman, Dean of Food Journalism. James Beard Foundation Journalism Award winner 12 times, and former restaurant critic for GQ. Chef Bobby Flay, Iron Chef and television personality, owner of ten premier restaurants and former host of seven Food Network programs. Flay was also featured on the Great Chefs PBS TV series hosted by Dorothy Cann Hamilton. Flay’s partnership with Giada DeLaurentiis on the Iron Man show, facing off against Rachael Ray and Mario Batali was the highest rated show ever broadcast on the food network. Flay has authored several best-selling cookbooks, and won numerous awards, including James Beard Foundation’s Rising Star Chef of 1993. Chef Lee Ann Wong, culinary producer for Bravo Network’s Top Chef, and blogger for the show. She also does a popular webcast, Top Recipe: The Wong Way to Cook. Former Executive Chef of Event Operations for FCI. Wong started at the Fashion Institute of Technology, but transferred to FCI. Her fashion background has allowed her to apply her design skills to styling food for the show. She also does chef consulting for filmmakers. Chef Daisy Martínez, TV personality and host of the PBS TV show Daisy Cooks! Martínez also manages a catering business in NYC, The Passionate Palate. Martínez has authored best-selling cookbooks, one of which was an IACP nominee and winner of the Best Latino Cuisine Cookbook in the World by Gourmand World Cookbook Awards. Martínez is also a regular contributor to Every Day with Rachael Ray. Chef David Chang Owner and Chef of the Momofuku Noodle Bar and the Momofuku Ssam Bar in Manhattan. Chang was named Best New Chef by Food & Wine in 2006, and was nominated that same year for the James Beard Foundation’s Rising Chef of the Year award. In 2007 Bon Appetit named Chang Chef of the Year. Chang’s self-proclaimed mission is to raise Korean and Japanese street food to the level of haute cuisine. The New York Times rates Momofuku at three stars despite its unusual cuisine. Chef Michelle Doll, owner and chef of Michelle Doll Cakes. Doll’s exquisite sugar art creations have been featured in Modern Bride, La Bella Bride, Elegant Bride, New York Magazine’s Wedding Edition, and The Knot. She’s also done guest appearances on Style Network’s Whose wedding is it Anyway? and participated in the Food Network’s Sweet 16 Challenge. Chef Wylie Dufresne, Owner and Chef of wd-50 in Manhattan. Many times nominated for awards by the James Beard Foundation, Food and Wine named him one of 2001 America’s Ten Best Chefs. In 2006 New York Magazine placed wd-50 at #4 in its list of New York’s 101 best restaurants. He’s appeared on Iron Chef, on Bravo’s Top Chef, and was invited to participate on Top Chef Masters in 2009. Chef Dan Barber, executive chef and co-owner of Blue Hill at Stone Barns in Westchester and Blue Hill in Manhattan. Barber not only cooks the food, he raises all of it on the farm, bringing a new meaning to the term “fresh” and promoting an experiment in sustainable living and eating. Using heritage seed and livestock strains are helping him to create new flavors out of ancient stock. David Rockefeller is one of the farm’s investors. Barber was a former chef at La Cigale in Manhattan and was named one of the Best New Chefs of 2002 by Food and Wine. In 2009 Barber was named Top Chef in America by the James Beard Foundation, and was listed in Time Magazine’s 100 Most Influential People of 2009. Six Months: Train every day for a total of 600 hours. Day and evening programs available for the 240 hour 8 week intensive program. The International Culinary Center offers recreational workshops through its recreational division, for amateur cooks and professionals seeking continuing education in a specific discipline. Most, but not all, are single session workshops, of a few hours’ duration. The International Culinary Center also offers classes through their food journalism & new media division.